-----Please remember these ideas/guides are to help you create a lesson that is beneficial for your Primary. Pray about your lesson and find out what your Primary needs. Thanks so much for your support! This week was a little harder to get ideas flowing, not sure why but it was.... I was looking through Church magazines hoping for something to spark. I was reading in the Liahona and ran across this quote and I had it! 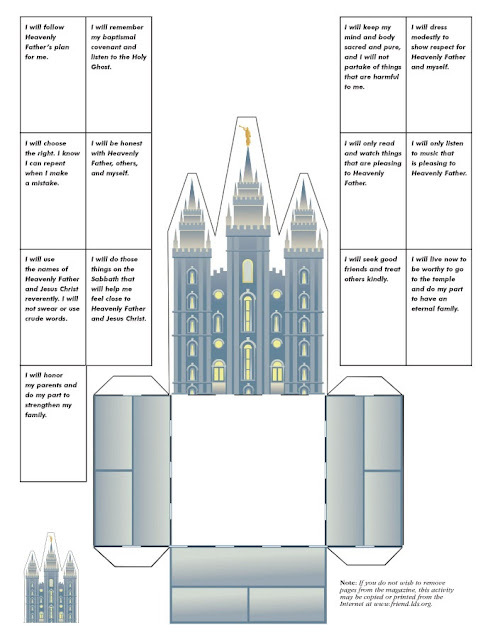 Heavenly Father wants each of us to marry in the temple. It is only in the temple that we can be sealed as families for eternity. What do you think is so special about temples? -Temples are literally houses of the Lord. They are holy places of worship where people make sacred promises with God. They are sacred where Heavenly Father can teach, guide and bless us. It is in the temple where we can feel very close to Heavenly Father and Jesus Christ. Why do you want to go to the temple? 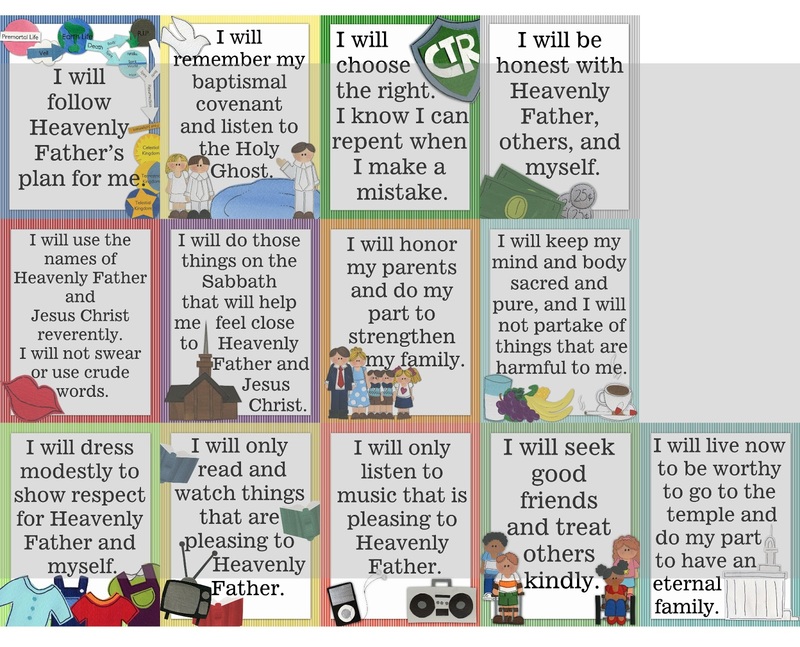 (Write these on board) What are some things we can do to prepare to go to the temple? Heavenly Father has given us some very special instructions that a prophet has given to us in addition to the commandments that can help us better understand the commandments. Can anyone think of what they are? The Gospel Standards! What is a standard? -A standard is a pattern that guides your life. Good standards will help you keep the commandments of God and be obedient. Heavenly Father has given the Primary some very special standards that we can live by. For these cards/posters, you'll be cutting them in half. Tape 1 half under a chair of some of kids at the beginning. And keep 1 half with you. Pick a kid to come up and tape their half up and then make it's match from the pile in your hand. (You probably won't have enough time to let all the kids do both halves). Or cut each into a puzzle and keep all the pieces except 1 piece as one child looks for that piece start talking and about how we can't do each standard without the whole thing, in order to be ready to go to the temple we must we worthy and by living the Gospel Standards we can. 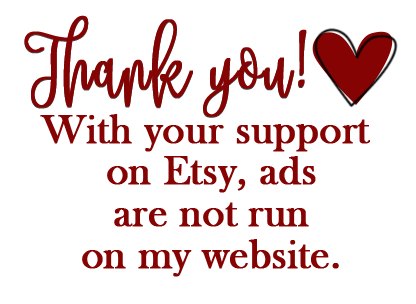 I've created Gospel Standard cards/posters, you can find them for purchase HERE, use coupon code JULST10 (expires 7/28 evening) to receive 10% off any of the 3 sizes available (11x14, 8x10, 4x6). *Please note 7/27, for those of you who purchase the posters and have problems. I will not be available from about 6-9pm MST. I will answer any and all emails/notes to sender as soon as I get home tonight. Thank you all so much for all your support! 1) I will follow Heavenly Father's plan for me. -What's the plan being talked about? How can following Heavenly Father's plan help us prepare to go to the temple? We each are spirit children of our Heavenly Father, through His plan we each would come to Earth and have a mortal body and become more like him and to return to live with Him again. It is only through the temple that we can be together as families and live with Heavenly Father again. 2) I will remember my baptismal covenant and listen to the Holy Ghost. What do we promise (covenant) when we are baptized? Some of the promises we make when we are baptized are that we are willing to take upon ourselves the name of Jesus Christ, that we will always remember Him, and that we will keep His commandments. What does it mean to "take upon ourselves the name of Jesus Christ"? This means that we will always put the Lord first in our lives, by trying our hardest this think and act and Jesus would. 3) I will choose the right. I know I can repent when I make a mistake. It is through repentance that we can be forgiven. As we come to Heavenly Father humbly and ask to be forgiven, we are saying that we will try our hardest and try to be better. 4) I will be honest with Heavenly Father, others, and myself. Why do you think honesty is important? And can help us prepare to go to the temple. To be honest means to tell the truth. We can be honest by having the courage to tell the truth, even when it sometimes may be hard. If we ask for help, Heavenly Father can help us to be honest through the Holy Ghost. 5)I will use the names of Heavenly Father and Jesus Christ reverently. I will not swear or use crude words. How can our language help us prepare to go to the temple? How do you feel when you say or hear swear words? We should always use the names of Heavenly Father, Jesus Christ, and the Holy Ghost with reverence and respect. Misusing their names is a sin. Profane, vulgar, or crude language or gestures, as well as immoral jokes, are offensive to the Lord and to others. "Profanity is filthiness. A person is known as much by his language as he is by the company he keeps.... Filthiness in any form is degrading and soul-destroying and should be avoided." 6) I will do those things on the Sabbath that will help me feel close to Heavenly Father and Jesus Christ. The Sabbath is to be away from the world. It is to worship, renew our covenants by taking the sacrament, learn about Jesus Christ and the gospel, to sleep, and to be with family. Keeping the Sabbath day holy includes not shopping on Sundays, not playing with friends and other things. Can you think of others things that can help us to keep the Sabbath holy? 7) I will honor my parents and do my part to strengthen my family. What are some ways that you can honor your parents? 8) I will keep my mind and body sacred and pure, and I will not partake of things that are harmful to me. Our bodies are gifts given to us from Heavenly Father. They are temples and we must treat them as temples. What does that mean? To treat our bodies like temples? 9) I will dress modestly to show respect for Heavenly Father and myself. Through our dress and appearance, we cans how the Lord that we know how precious our bodies are. Our clothing expresses who we are. It sends messages about us, and it influences the way we and others act. When we are well groomed and modestly dress, we can invite the Holy Ghost to be with us and influence our friends and family around us. 10) I will only read and watch things that are pleasing to Heavenly Father. In the world today, it is so easy to watch and read things that can hurt us, but as we read good books and watch good shows we will be blessed with a clean mind and when we have a clean mind we have clean thoughts, which will turn into clean actions. 11) I will only listen to music that is pleasing to Heavenly Father. 12) I will seek good friends and treat others kindly. 13) I will live now to be worthy to go to the temple and do my part to have an eternal family. It is only in the temple that families can be sealed for eternity. Sacred work is performed in temples around the world. As we strive to obey the commandments and follow the gospel standards we can be ready to go to the temple when the time is right. I found the most amazing handout that nothing I can do will give it justice. I am so grateful to be able to do this Sharing Time, I really had no ideas for this week but I prayed and asked that I'd find something that can help and now that I've just found this handout I feel as though my prayers were answered and Primaries will be blessed from this lesson and handout.